Our company specializes in offering qualitative range of Britelite Led Torch. 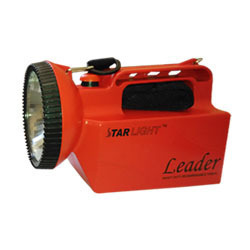 These torches are widely used by the customers in these days when there is immense power shortage. The range of our torches is available in varied designs, colors and sizes to meet the different requirements of our customers. We offer Britelite LED Torch. Challenge and Troy are having same spec. Electronic Switch with Three Modes. 30% Brightness | 100% Brightness | SOS. Ni-Cad Rechargeable Battery with In-built Rechargeable unit. We are one of the main supplier of Britelite LED Torch. - Electronic Switch with Three Modes. - 30% Brightness | 100% Brightness | SOS. - Ni-Cad Rechargeable Battery with In-built Rechargeable unit. - Switched Mode Power Supply(SMPS) Adaptor. We are a top-notch organization, engaged in providing Britelite LED Torch. - Guarantee: 1 Year for Battery | 1 Year for Charger | 90 Year’s LED. We are dealing with all kinds of rechargeable Flashlights.Britelite and Mr.Light accessories and spares are available with us. Shipping Information: Destinations: We Ship anywhere in India via our reputed shipping partners. We are engaged in offering Britelite LED Torch.